Bearing, Main shaft T-84 transmission, A 916. 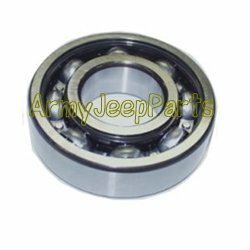 These are high quality bearing that include the shield to stop the transfer of oil from trans to the transfer. Please note the photo does not show the shield but it will have it.